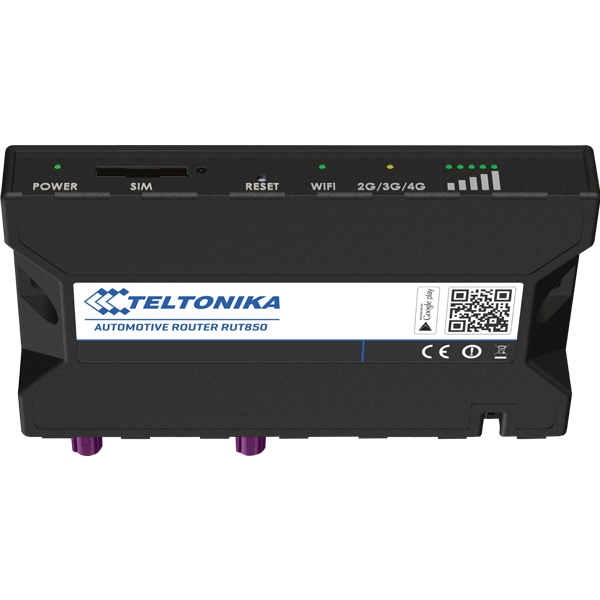 Teltonika RUT850 plastic casing 4G LTE wifi router for vehicles. Easy to use, mount and set up. Ideal for car rental services, in which case this router can provide Wifi inside the vehichle and in same time provides a realtime positioning information for the car or bus rental service company. Price includes initial configuration if required by costumer. Preconfigured 3G WiFi router requires the SIM-card insertion and it's ready to go.